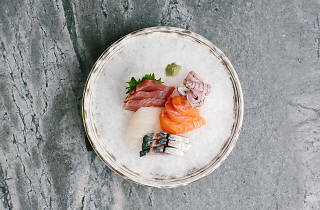 This izakaya is helmed by chef Shun Sato, a Sendai native who’s worked in Tokyo’s famous Tsukiji Market, Sydney restaurants BlancHaru and Yoshii and, more recently here in Hong Kong, Belon and Ho Lee Fook. Signature dishes include the likes of seasonal sashimi, grilled octopus on potato confit with ginger soy and A4 wagyu sukiyaki. In typical izakaya fashion, quality whisky highballs are the tipple of choice.